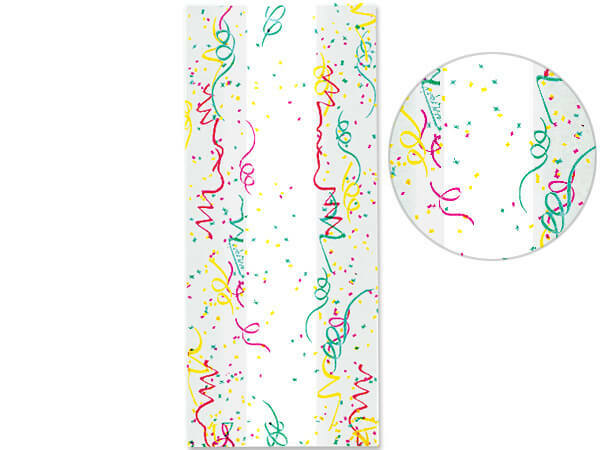 Party Confetti 4x2x9" cello bags. Capacity: 3 cups. Top quality! Made in the USA.